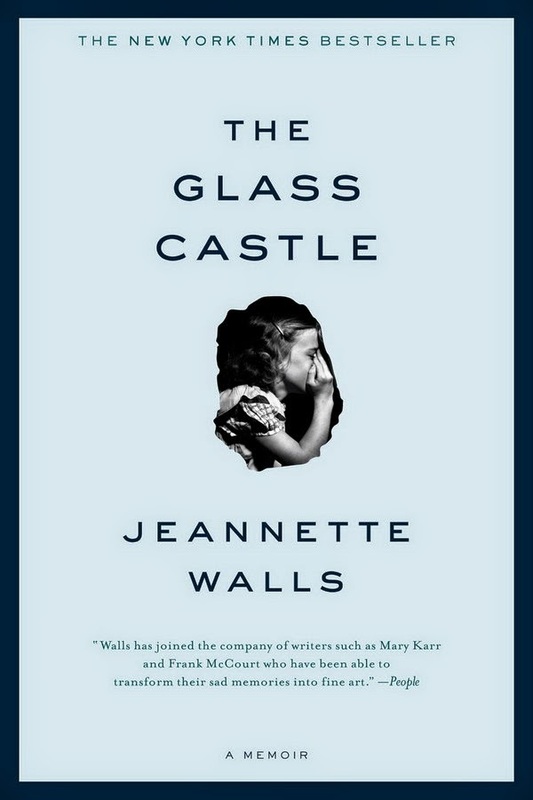 After reading The Glass Castle , I am truly astonished that Jeannette Walls and her siblings all survived their childhood. If this were a work of fiction, I would have said the story was too unbelieveable. That people would never really live and act like her parents did. That children would not be neglected and suffer to the extent that these children did. But it's not fiction. This was her life with parents who were more interested in following their dreams than putting food on the table. Parents who were capable of teaching their children about physics and art and literature, but didn't have the motivation to stay employed long enough to actually feed and care for their kids. Jeannette and her siblings are truly lucky to be alive. The Glass Castle has been sitting on my bookshelf for almost two years now. It was a book club selection that I never got to because I couldn't make it to the meeting. I wanted to read it though, so I was excited when I got the book at our Christmas exchange in 2008! I'm so glad I finally sat down and read it. I thought the way Walls wrote this story was amazing. She seemed so objective as she told her story of living in homes that were literally falling apart and digging for lunch in the school trash. She talked about her parents' actions, which were neglectful and abusive at times, without strong anger or pain. She has obviously come so far, but I'm sure that who she is today is because of what she went through during her childhood. If you like memoirs, I highly recommend this one. This review was written based on a copy of The Glass Castle that I received as a gift from a friend. This is book #32 for the Countdown 2010 Challenge and book #4 for the Read Your Own Books Challenge. I agree with you. I kept stopping and asking myself, is this really fiction? If you ever just want to read snippets, it is on my list. That sounds really interesting. It is amazing what some people suffer and come out of as functional adults. We read this for book club a while back and it was one of those great discussion reads. It was so incredible that it had to be non fiction.... as fiction it would have been unbelievable.